Sleep deprivation is one of the most frequent things parents complain about -and we are sure that a least 99% of all parents may be sleep deprived to some degree. That’s why we have found the most common methods used to create sleeping habits that will help your little one sleep through the night, so you will get some much-deserved rest too! First of all, you should know that babies have different hours of sleep depending on their age. Newborns up to three months sleep approximately 18 hours a day. This means that this will be the time where you sleep less -and not because you are staying out late! 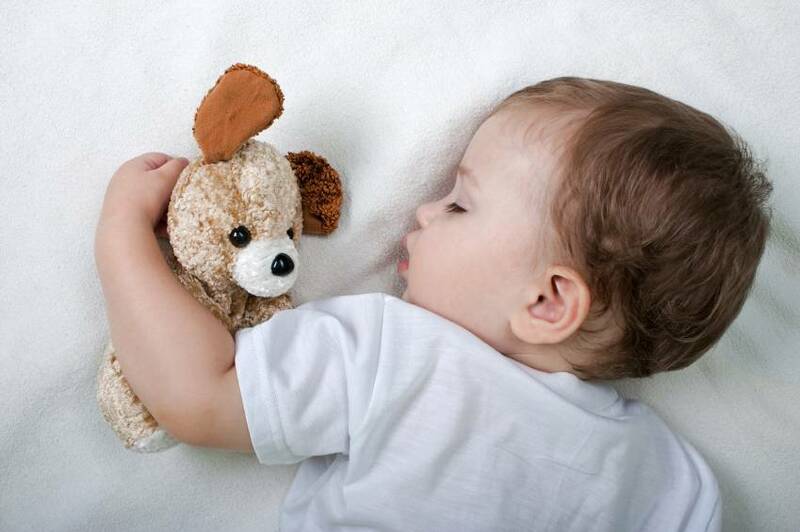 The good news is that between four and six months of age, most babies are capable of sleeping “through the night”, which generally means up to 8 to 12 full hours. This is great news for you, because you will be able to sleep more and feel well rested in the morning. Pediatricians recommend that parents begin implementing a sleeping habit for their babies at around four months, giving them a chance to develop a more regular sleeping pattern. Keep in mind that every baby has his own unique developmental timetable. The best way to know if your baby is ready to form sleeping habits is to observe how he reacts to your sleep training. If he doesn’t seem ready, slow down and try again in a few weeks. Here are some methods you may want to try out. We have enlisted some pros and cons. Remember that no single approach works with all babies all the time (or even all the time with the same baby!). If one “sleep training method” isn’t working for your family, just drop it and take time to find and develop a nighttime parenting method that works for you! For one week, keep track of the times your baby wakes up at each night. Then, try to beat him to the punch. If he wakes at 12 and 4 AM, go in and wake him at 11:45 and 3:45 AM and do whatever you normally do. Day by day, extend the waking times in 15-minute increments—back to 12 and 4 AM, then to 12:15 and 4:15 AM, and so on. Your baby should stop waking on his own and instead wait for you, who have become his new alarm clock. Eventually, you phase out the waking altogether and find that your baby is sleeping through the night! This method is great for babies that tend to have predictable waking times during the night. As parents, you will feel more in control, since you are in charge of when your baby wakes up. You may have a hard time bringing yourself to wake your baby (especially when he looks so cute sleeping!). The method can take a while -up to three or four weeks. Some experts argue that a baby’s waking schedule is too varied for this method to be effective. This is probably the most controversial getting-baby-to-sleep technique, and there are a lot of myths behind this method. The Ferber Method is based on the idea that babies make associations with falling asleep, so they come to rely on these things in order to go to sleep. For example, routinely rocking or falling asleep while breastfeeding, etc. The trick is to teach him to learn to fall asleep by himself in his crib. Although this is a popular method, is just one of many others and is not a method that works for everyone. The way it works is: you put your baby in his crib and say “good night”, then leave the room. If he starts to cry, let him cry for about 5 minutes, this way he can start learning to soothe himself. After a bit go comfort him briefly without picking him up, letting him know you are there, that he’s okay and he’s not alone. If he cries again, try to wait a little bit more before going back to confort him. The idea is to reassure your baby that you are still there and to see if he’s okay while he starts learning to self soothe. Experts say it will take three to seven days for your baby to associate being in his crib with falling asleep. If you are the kind of parent that doesn’t like leaving your baby crying for more than a minute, it’s okay. You can try a different method that suits you better. The Sleep Lady Method was created by Kim West, a licenced clinical social worker with more than 21 years of experience in child and family therapy. Since babies are not born with the knowledge of how to put themselves to sleep, parents have the responsibility to teach them. This method coaches the baby about good sleeping habits and provides verbal and physical encouragement along the way. This method allows babies to learn how to soothe themselves in a safe environment with the knowledge that mom and dad are right there if they need them. The most important thing is to discover a nighttime parenting style that works for your family. Once you find it, it’s essential to stick with it! At the same time, be prepared to change your nighttime style as your little one grows. The key is to always be open to new approaches and to follow your intuition; you will eventually have a nighttime style that works for you and your baby!